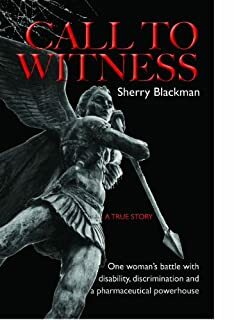 When Attorney Patrick J. Reilly consulted with author Sherry Blackman for her book Call to Witness, a true story based on one of Reilly’s cases, he didn’t expect the book to receive the high accolades it has from readers and sellers alike. The text is currently ranked as #24 in the Best Sellers list for Disability Law and #37 for Discrimination Constitutional Law. The book has also received an average 5 out of 5 star rating by Amazon readers. Call to Witness details the true story of Jane Gagliardo‘s struggle with discrimination at the hands of her employer and her triumph over one of the biggest pharmaceutical giants with the help of Attorney Reilly and his team. This entry was posted in ADA, Discrimination, Empowerment, MS, The Book and tagged abuse, ADA, amazon.com, call to witness, disabilities, discrimination, empowerment, inspiration, Multiple Sclerosis, PCUSA, Supreme Court. Bookmark the permalink.